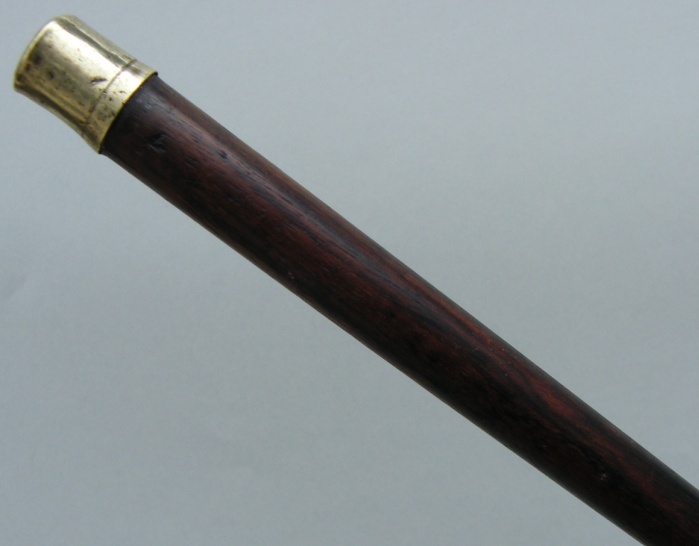 Well Figured Rosewood Lady's or Gentleman's Walking Stick with Horn L Shaped Grip and Embossed Silver Collar, ending with its original polished brass ferrule. 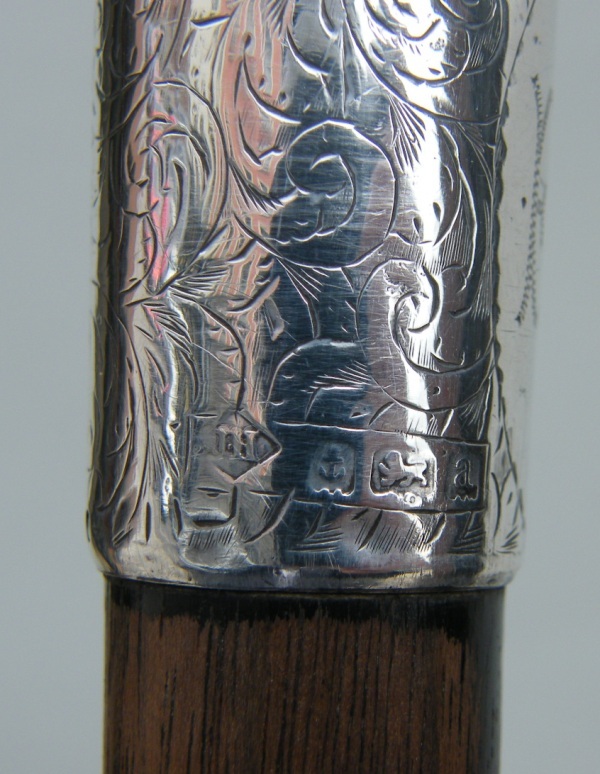 Mark of JH for Henry Howell & Co. (Jonathan Howell) Cane & Stick manufacturers. Old Street, London. Assayed in Birmingham 1900. There is also engraved initials on silver collar "EJC"
Condition: Good condition with nice patination on wood, ferrule is worn down a little. In its time, the cane manufacturer known as Henry Howell & Company, London. 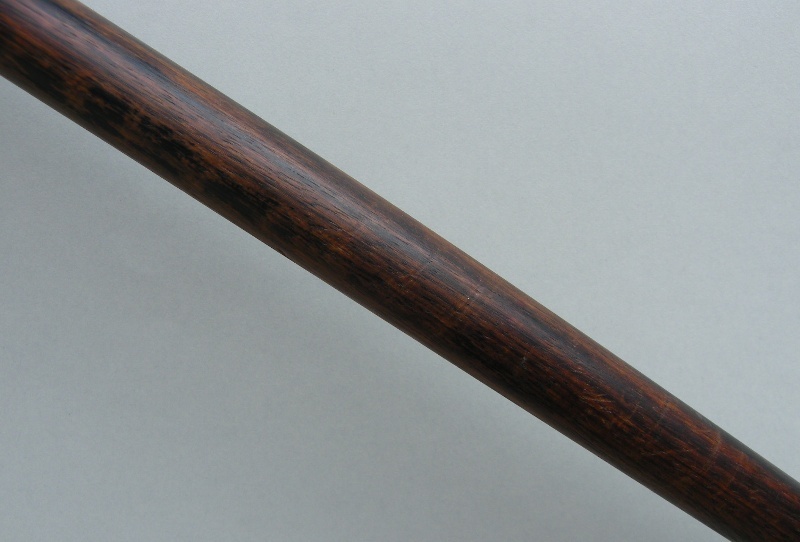 was the largest and one of the world’s most prestigious makers of fine walking sticks. 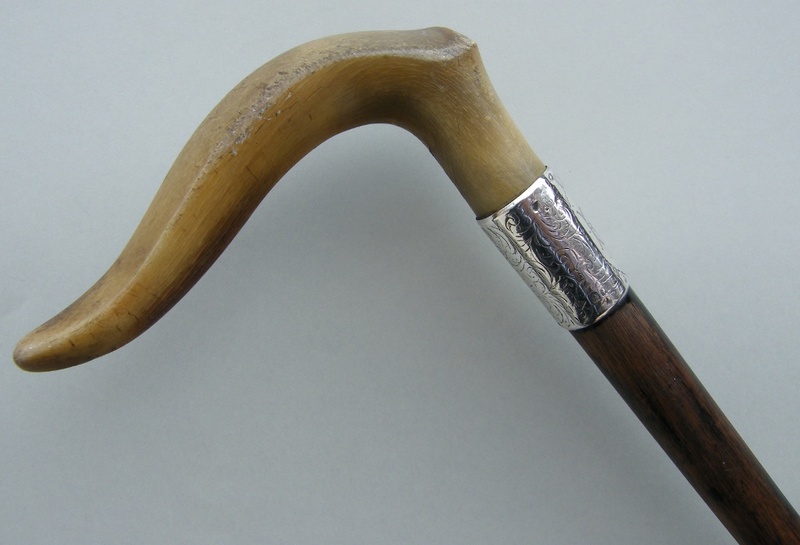 Their canes are much sought after by collectors today and are often, but not always, identified by the distinctive Henry Howell Co. badge or button. This is a small (1/4” to 3/8”) brass disc inlaid into the wood of the shaft and stamped with the maker’s mark. 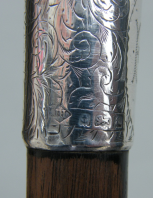 Howell canes that which pre-date the use of this marker can also be identified by the initials HH incised on either the ferrule or the collar.